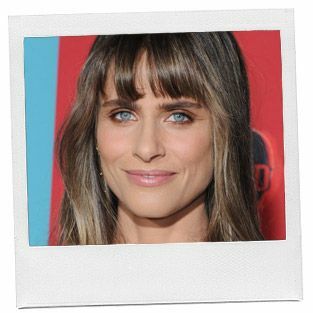 Occupation: Actor, currently appearing in Togetherness on HBO. Annie Hall and David Letterman. Chris Rock lives in New Jersey, right? Well, it’s not a meal but it is to me: Christina Tosi’s compost cookies. Pretend to be other people. I was a hostess at City Crab, at 18. I first tried to be a waitress at another restaurant and had lied on my resume, saying I had a lot of waitressing experience and putting a made-up name of a restaurant in a different city with my boyfriend’s phone number on it as the reference. On the first day of work a couple asked me if I could please warm their bread, so I put the entire bread basket into the oven. The restaurant almost caught on fire and needless to say, I was fired immediately. Wicked, for the third time. My friend Josh Rosenstein (he’s a chef) makes this wine spritzer in his garage called Hoxie. My favorite flavor is lemon ginger—I like it because it’s clean and not too sweet. He thinks we’re friends but I really only socialize with him because of Hoxie. What a dummy. I have three kids, leave me alone. It’s a three way tie: Xanax, Klonopin, Ativan. There’s a bakery on the ground floor that serves these prune danishes that are desserts masquerading as breakfast. Someone reading my husband’s book. The jury’s out. It’s hard to tell right now, you know? …were pretty fantastic when my apartment was robbed. About 20 cops showed up and they were really great while I was freaking out. I hate that David Letterman is leaving. The bath if my kids don’t get in with me. Being irritable. Also you know which subway to take.